Panoramic canvas prints from your photos. Beautiful landscapes? Happy picture memories from romantic evenings? Your photography can be transformed into an amazing framed panoramic canvas print to hang on your wall - create a stunning focal point to your room. 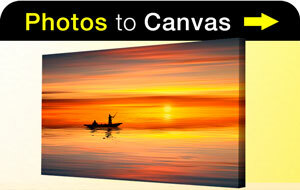 Todays digital canvas print technology is capable of creating large canvas pictures in high resolution. Iphones, tablets and cameras take high quality pictures, allowing you to create unique wall art for yourself or as special gifts. Fast UK despatch. 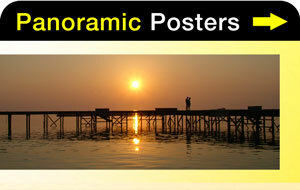 Your photography can be turned into a high quality panoramic poster print. Whether your picture is of sunset or sunrise, photography of seaside or desert - your personal photos can become a work of art to decorate any room. Despatched next working day. Our size ranges include an enviable selection, specially designed to fit the wide variety of photography cabpable with todays digital devices. Whether you have taken your panorama from an iPhone, a digital camera panorama, or indeed any phone or device - we should have a size that will perfectly capture your photography onto print. Sometimes a photo is just too beautiful to be left on your digital device. Our holiday snaps and weekends away featuring photos of beautiful beaches or views from majestic mountains can become more than just a digital image to show to our friends. 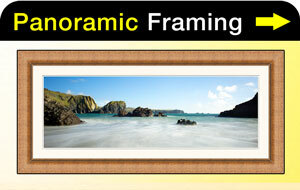 Transform them with our high quality panoramic print & frame service. Let us print your panoramic photos for you - Fast UK despatch. Choose from our carefully chosen range of wooden frames. Our photo frames service specialises in panoramic pictures, allowing you to transform your digital images into stunning framed prints. 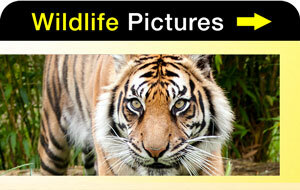 Stunning range of wildlife photography by wildlife photographers Bob and Diana Davey. From underwater photography featuring tropical fish to rainforest animals and colourful birds. Magical images that bring to life the amazing wildlife of our planet. Images from across the globe, from the tropics of the Indian Ocean to the amazing rainforests of central America. Our unique and beautiful collection of wildlife pictures captures the astounding diversity of fish, animals and birds in habiting the earths' varying eco-systems. Have your photo printed on our high quality poly/cotton canvas. We use a specially selected canvas, which combines the natural texture of cotton, whilst delivering the vibrant colours typical of polyester canvas. This means that you will receive a beautiful canvas print that will last for years. 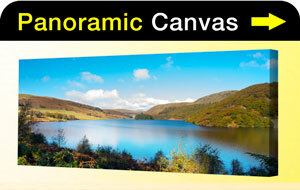 A complete photography service from A4 prints to panoramic prints in an array of sizes. Why not take photos from your phone or pc and turn them into beautiful prints, enhancing your décor and capturing your memories? Photos from your iPhones, mobiles or cameras can be printed with stunning results. Why not have your photography become a high resolution, vibrant photo poster - your own personal wall decor? We use only high quality photo poster paper and print at superfine resolution, giving amazing detail and beautiful colours. Our posters are printed using Epson K3 UltraChrome printing inks, known for their longevity and quality of colour reproduction. Our goal is to ensure that you will be happy with your photo poster. Our wide selection of sizes is available for all our prints, from panoramic photo prints or standard sizes A4 up to A0. If you prefer your poster to be framed, why not try are all-in-one print & frame service. 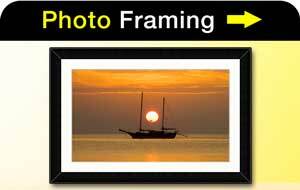 Simply upload your photo to the website, then choose from our selection of quality frames. We offer natural wooden frames with either a barefaced finish or in a variety of stains and textures. Our frames are custom made to order, with or without a mount border. We ensure that every framed print is machined and assembled to your personal specifications with the highest standards. We specialise in prints & frames for photos and pictures created by iPhones, mobiles or cameras. Whether you would like to have your photos and pictures transferred to canvas; printed and framed using our high quality print & frame service; or simply make a poster … All of our photo prints are printed in high resolution, with exquisite detail, vibrant colours and fast despatch. 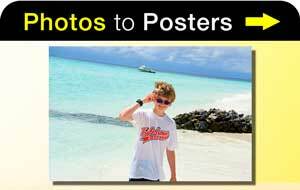 Best Photo Posters offers high quality, personal and speedy service. We will ensure that your print meets or exceeds your expectations.